Do Rafting in the heart of Los Andes. Get to Chile`s border navigating the best rapids (level III and IV) across narrow canyons, surrounded with an exuberant vegetation over Manso Inferior river. This is a very exciting excursion if you like real action. The adventure finishes by enjoying an authentic Patagonian BBQ (with a delicious red wine). After the dessert and a coffee, you return to Bariloche. Providing different kayaking options and difficulty levels. There are options for the whole family, day and half day tour, and also tours for experienced people, lasting several days. Experience the majesty of the Mount Tronador (3478), its glaciers and its surroundings in this spectacular trekking tour which takes you beyond the traditional path. 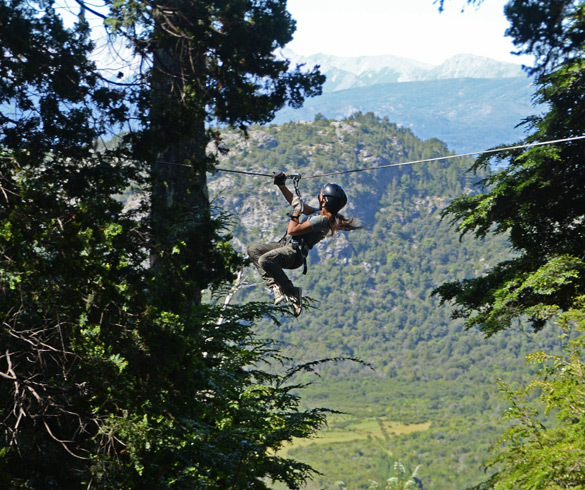 Many trails get you into the Valdiviana jungle showing you the prettiest places of the Nahuel Huapi National Park. The best way to go across Circuito Chico is riding a bike. It`s a 27 km (17 miles) roundtrip tour along a paved road with many uphill and downhill sections that make it dynamic and fun. Discover unique places with the best horse riding of Bariloche, local guides will lead you to unknown waterfalls, rivers, forests and mountains. Options: half day, full day and long voyages. 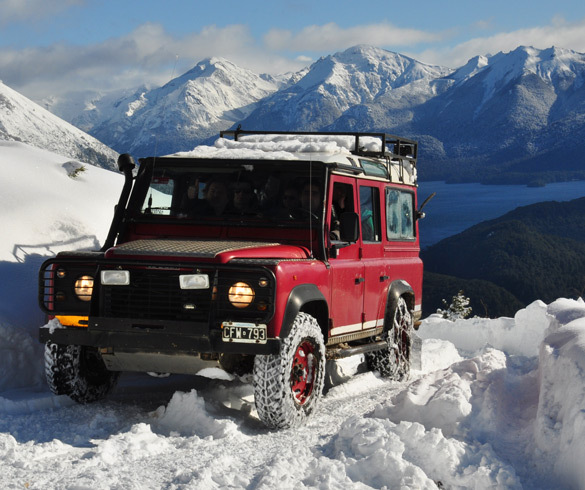 Bariloche is filled with undiscovered sites, best enjoyed in 4x4 vehicles. Bariloche also offers you the opportunity to paraglide with an instructor. No previous experience is required, you only need to be healthy and with flying expectations. The Canopy proposes another way of re-discovering nature, offering the incredible sensation of flying across the forest, sorrounded by amazing landscapes which are be impossible to see from the plain. Canyoning treats itself about a sports technique combination: to walk, to swim, and to lower rivers and cannons with help of ropes. The rivers characteristics and the beauty of the region present the ideal place for the development of this adventure.